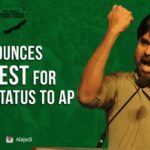 Tollywood Popular Actor Come Famous Politician Jana Sena Party Chief Pawan Kalyan Statue situated at a prime location in Andhra Pradesh is currently going viral in Social Media. 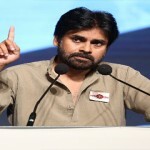 Reportedly, a few fans of Pawan Kalyan and Jana Sena activists thought of establishing a statue of Pawan in Tadepalligudem in AP in 2014 itself. 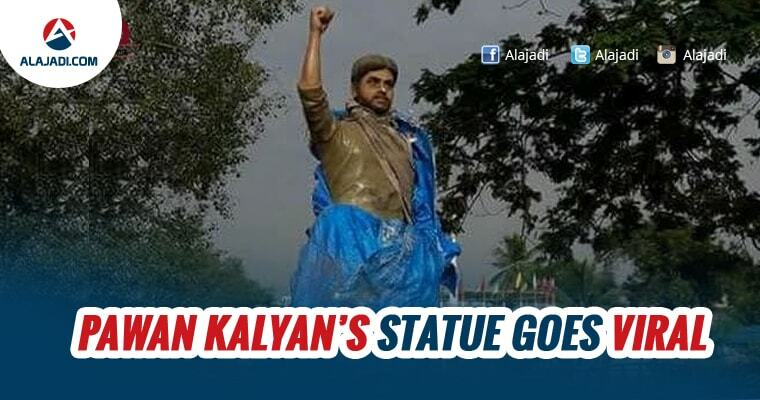 However, after Power Star Pawan Kalyan expressed his reservations on the statue, fans dropped the idea of unveiling it although the statue was situated at the said place. It was covered completely hoping that one day the Jana Sena founder would give his approval. It is not known who did it but the cover of the statue was recently found partially removed. Who could stop the tech savvy generation from taking pictures and posting them on social media? The photos are currently going viral on social media. On the career front, Pawan Kalyan is busy in shooting of his upcoming film Katamarayudu under Kishore Kumar Pardasani (Dolly) direction. It is said that the movie crew are heading towards Kerala for some scenes. After this movie, Pawan Kalyan joins the hands with Trivikram Srinivas and another film with R.T.Neason Film which is the remake of Vedalam Tamil Film.